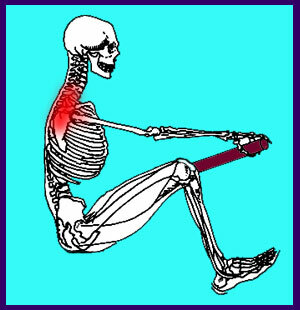 Rowing neck pain and upper back pain are common consequences of the strain produced while participating in this competitive fitness activity. Rowing, also called crew, entails a full body, no-impact workout that provides excellent conditioning to body and mind. However, some participants suffer acute, recurrent or chronic problems with their dorsal muscles or spine caused by their rowing exertions. Rowing is a historic and widely practiced sport worldwide. It is performed by private teams, in scholastic leagues, by individual competitors and in national and international racing events, including The Olympics. This guide examines the relatively high rate of neck and upper back pain in rowing athletes. We will also look at some of the other common dorsal consequences of crew, including lower back strain and lumbar spinal degeneration. This article covers actual rowing in a boat, as well as the use of rowing simulators and exercisers. Neck and upper back strains are the most common cause of symptoms in serious and competitive rowers. Although proper technique will reduce the chances of suffering soft tissue strain to the upper dorsal muscles, ligaments and tendons, participants can still suffer some degree of trauma, especially once fatigue has set in during a grueling exercise session. Utilizing incorrect technique will certainly increase the odds of suffering pain or injury. Small incorrect adjustments to posture or ergonomics of motion can result in major problems for the anatomy. Fatigue is a common cause of technique deterioration during any rowing event. This is why expert coaching and self-discipline are crucial tools for all successful rowing athletes. The muscles of the neck and upper back should never be forced to work alone, since the entire anatomy is utilized to row correctly. However, crew participants who demonstrate greater degrees of upper body strength, shorter legs or poor skill levels, the neck, shoulders and upper thoracic region might be required to work harder than is advised or typical. Rarely, rowing can also negatively influence the anatomy of the actual spine in the neck or upper thoracic region. Common consequences include increased osteoarthritic activity, especially in older crew athletes, changes to the normal lordosis of the neck, and the occurrence of intervertebral desiccation, bulging and herniation, especially in the lowest cervical levels and at the cervicothoracic juncture. Crew is known to often place inordinate strain on the lower back, in much the same manner as it can in the upper reaches of the dorsal anatomy. Once again, the cause is usually poor technique or fatigue that causes the rower to use force, rather than finesse, towards the end of a race or exercise session. Acute tissue strains are possible in the lower back, affecting muscles, ligaments or tendons in and around the spine. Some cases might also involve neck or upper back strain, as well, affecting much of the dorsal region and causing widespread pain, reduced strength and limited mobility. Damage to the lumbar spine is certainly a relative common consequence of rowing, with most cases showing up in athletes who have taken part in the sport for many years. While lumbar deterioration is universal, rowing athletes often demonstrate more severe and earlier-onset degenerative changes in the lower back, including osteoarthritic accumulations, intervertebral dehydration and protrusion, and possible changes in lordosis. Many spectators do not realize that rowing derives just as much force from the lower body as from the upper body, so it comes as a surprise to see how many crew athletes actually bear the brunt of their anatomical pain in the lower back, buttocks, legs or feet. Sciatica is a major concern for some crew participants. Acute injuries can happen to any athlete, including crew enthusiasts. Experience and coaching will usually instruct athletes on how to prevent fatigue from changing their technique, thereby preventing injury. However, when an acute trauma does occur, it may sideline any participant for days, weeks or even months, especially in cases of severe spinal damage. Recurrent injury, such as RSI conditions, must be carefully evaluated and treated in order to prevent accumulated damage that can end a rowing career. Many rowing athletes have recurring minor pain that is deemed normal, while others have symptoms that can be mitigated through technique correction, conditioning work or muscle balancing efforts. 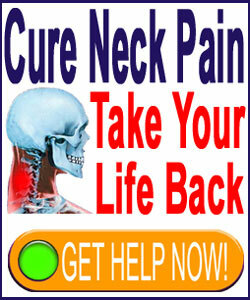 Chronic and severe neck pain is never healthy for anyone and can reduce the effectiveness of any crew athlete considerably. Working through the pain is fine, but is not an ideal long-term solution, since discomfort exists for a reason and ignoring these signals may result in career-ending traumas. All cervical, upper thoracic and lumbar pain syndromes should be evaluated by a sports medicine physician, physical therapist and crew coach in order to strategize a treatment plan and also allow the athlete to continue to work towards their goal of perfection in this very demanding sport. Most cases of pain can be treated successfully using conservative methods of care, including physical therapy, chiropractic, massage and rowing technique correction. It should be mentioned that many crew athletes suffer physical symptoms that do not come not from any structural cause, although incidental spinal abnormalities might exist to take the blame during a careless diagnostic process. Instead, these painful expressions are generated as distraction mechanisms to cover-over suppressed and repressed negative emotions that may or may not be directly linked to rowing competition. In essence, these mindbody pain conditions are psychogenic in nature, rather than organically structural. It is well known and accepted that crew athletes are highly competitive, driven and perfectionistic by nature. These personality traits are the most common characteristics associated with all manner of mindbody health issues, including tension myoneural syndrome. While rowing may be the instigator of bodily pain, this is merely a conditioned response. Meanwhile, the cause of symptomatic activity resides solely within the substance of the mind and must be treated using psychoemotional tactics, rather than physical interventions. In these cases, alternative treatment using knowledge therapy is the best course of action.